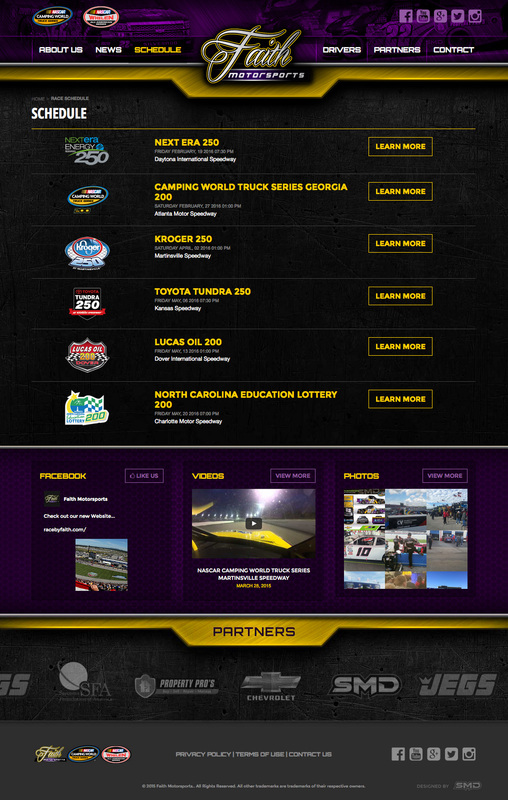 SMD teamed up with an up-and-coming NASCAR Camping World Truck Series race team to create their new website. 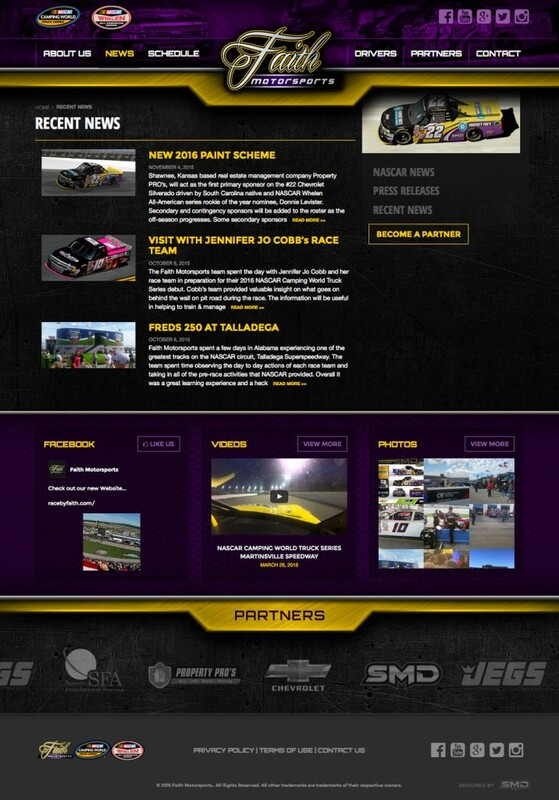 The new Faith Motorsports website design includes features that allow them to compete on the same marketing level as big money race teams. 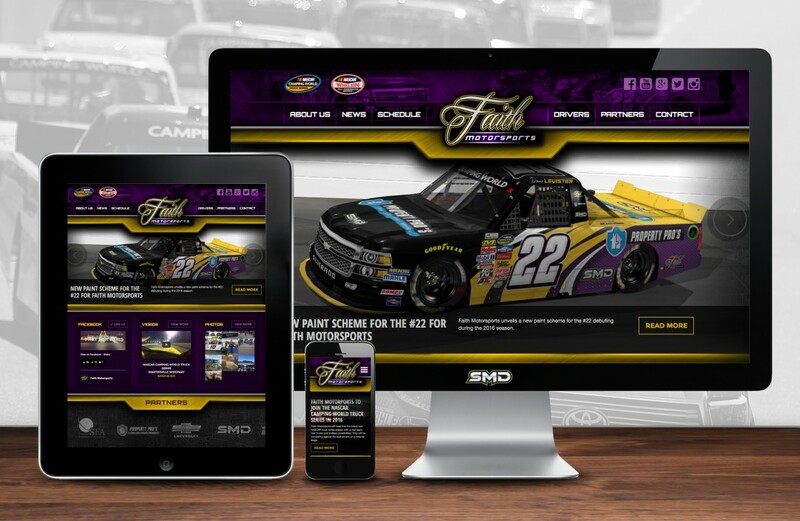 The Faith Motorsports website includes a fully mobile friendly responsive design that will display correctly on all devices. The new website will be used to promote the new race team, give fans & sponsors updates on team news and to attract future partners. SMD is the official design partner of Faith Motorsports. 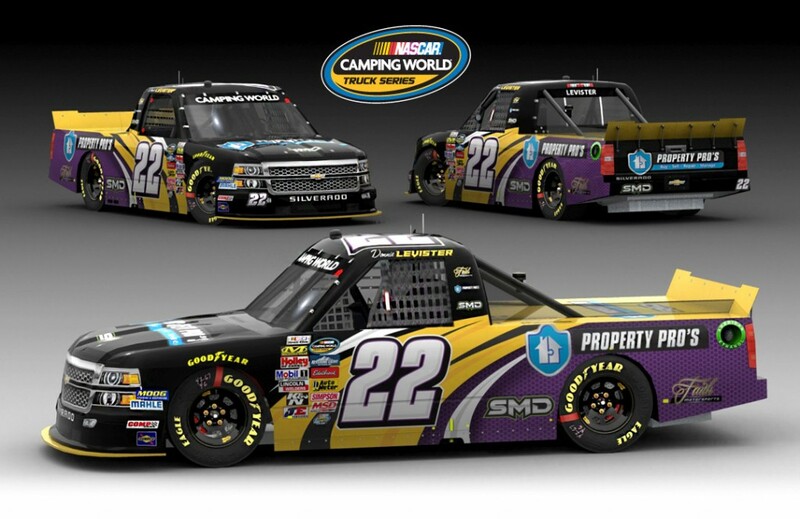 You will find the SMD logo on the truck throughout the 2016 racing season as a contingency sponsor as well as primary. Prior to the launch of the new website, SMD designed a paint scheme concept that will be showcased in the upcoming season.